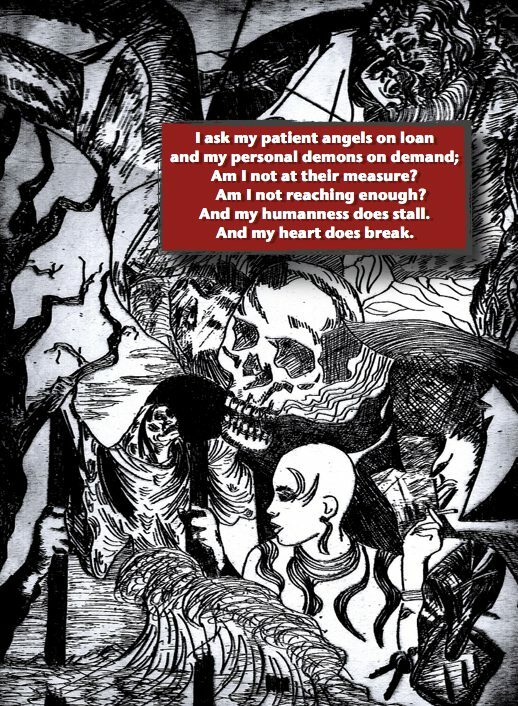 This entry was posted in My Art & Writing and tagged art, blackandwhite, creating, etching, faith, figures, marketing, poetry, prose, socialmedia, symbolism, thoughts, truth, writing. Bookmark the permalink. Hey AnnMarie been in the hospital 12 days they needed to fix my meds. Things are rough but I’ll adjust and get better soon. Happy to be home. You were missed. Hope you missed me too. Want to see up close. Fascinated by smoker at bottom.